Three hundred small primary care practices in 12 states will receive funding to improve the heart health of their nearly 8 million patients. Giving primary care practices the support they need to help patients live longer, healthier lives—that’s the goal behind the recent awards of $112 million, one of the largest research investments to date by the Agency for Healthcare Research and Quality. The funding is on behalf of EvidenceNOW: Advancing Heart Health in Primary Care, part of the nationwide Million Hearts initiative. The money will go to up to 300 small primary care practices in 12 states to improve the heart health of their nearly 8 million patients. The EvidenceNOW program establishes 7 regional cooperatives composed of multidisciplinary teams of experts that will provide quality improvement services such as onsite coaching, sharing best practices, and electronic health record support. The developers aim to help small primary care practices incorporate the most recent evidence on how best to deliver the “ABCS” of cardiovascular prevention: aspirin use by high-risk individuals, blood pressure control, cholesterol management, and smoking cessation. 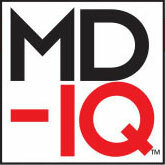 This new website provides the latest information on how to care for patients with heart disease.